4K or not 4K | True or Fake? We were surprised to learn that not all 4K (UHD) titles are actually 4K... well, that is to say, native. Many are upscaled, digitally enhanced to 4K. That's not all bad, we have viewed many, and some are extremely good, but a few, well, a 1080p Blu-ray on a 4K TV with upscaling works just as well and saves a few bob too. What we find very interesting is how many of the older films, shot on 35mm can actually be scanned at up to 6K. So just because it's a classic, doesn't necessarily mean the quality will be inferior. 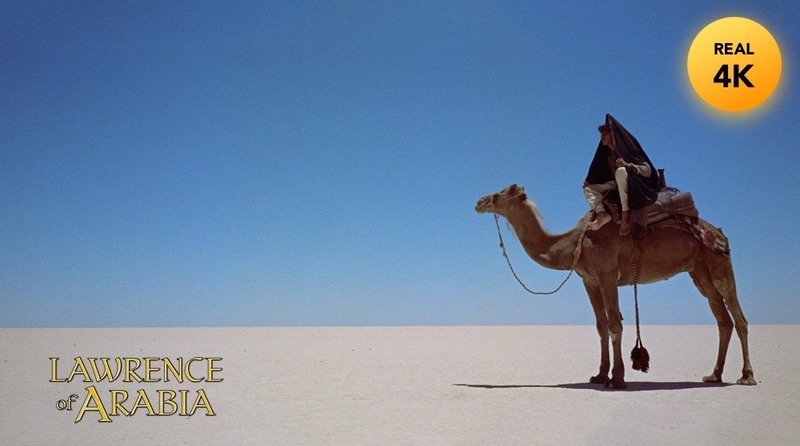 Lawrence of Arabia is a superb example of old, but outstanding! We're maintaining a detailed list of over 200 4K titles, confirming audio, HDR and whether the title is real 4K or fake. As they release, we'll keep up-dating. Feel free to let us know if we missed anything.